PUMA have launched the latest iteration of its eye-catching Duality boots, continuing the theme of two distinct coloured boots in one pair, which PUMA were the first to introduce. 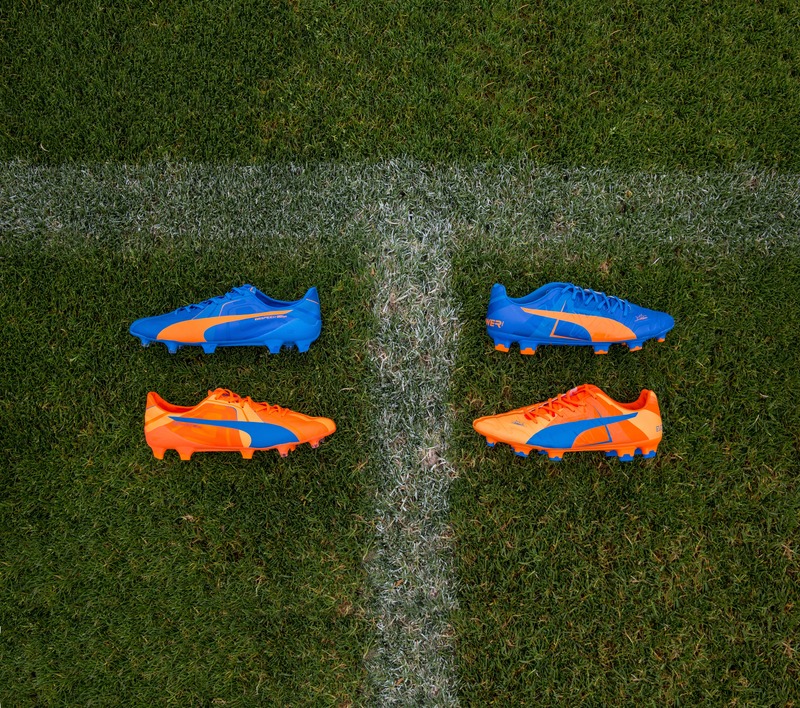 The Head To Head Duality colourway is applied to PUMA’s two football boot families, evoPOWER and evoSPEED. 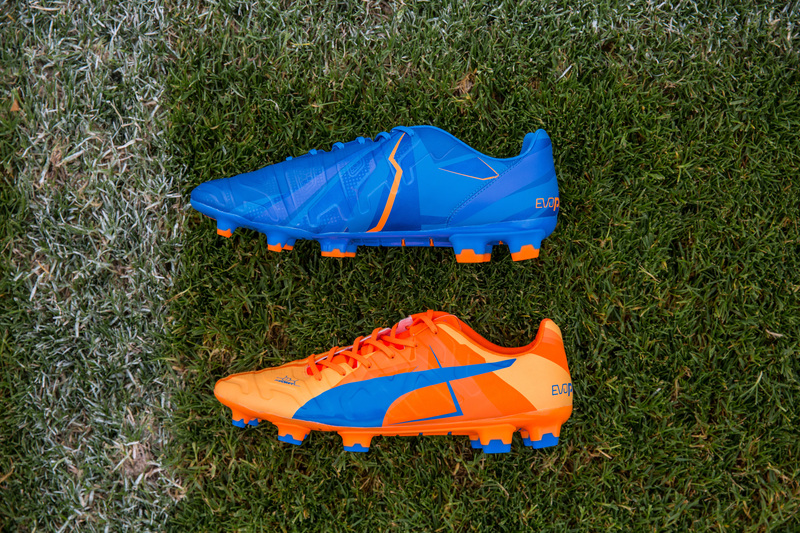 A selection of high profile players will wear one orange and one blue boot in up to three competitive club matches, representing either team evoSPEED or evoPOWER, which PUMA is now pitching against each other for a special competition. Activated through a social media programme, PUMA is challenging the players of each boot family to go ‘Head To Head’ and outperform the other. A scoring system counts in game action such as goals, assists and completed passes of all the participating footballers, to determine which team is more successful. Cesc Fàbregas, Mario Balotelli and Olivier Giroud are three members of the wider evoPOWER team which will compete against stars such as Sergio Agüero, Marco Reus and Antoine Griezmann of the evoSPEED crew. True to sporting competition, fans have to pick the side they want to support. Joining either the evoPOWER or the evoSPEED team, social media users can follow their chosen star line up and its performance through insightful infographics, whilst being invited to share images of their own PUMA football boots and experiences. 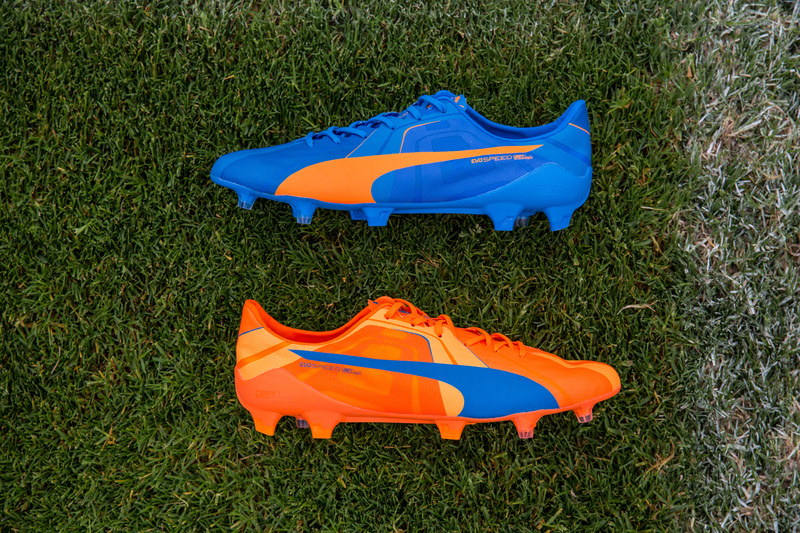 The new Head To Head Duality boots further enforce PUMA’s ownership of the two-differently-coloured-boots concept, which was first introduced for the World Cup in 2014, and further established through a special edition Arsenal FC boot, and various personal player executions at the end of 2014 and earlier this year. 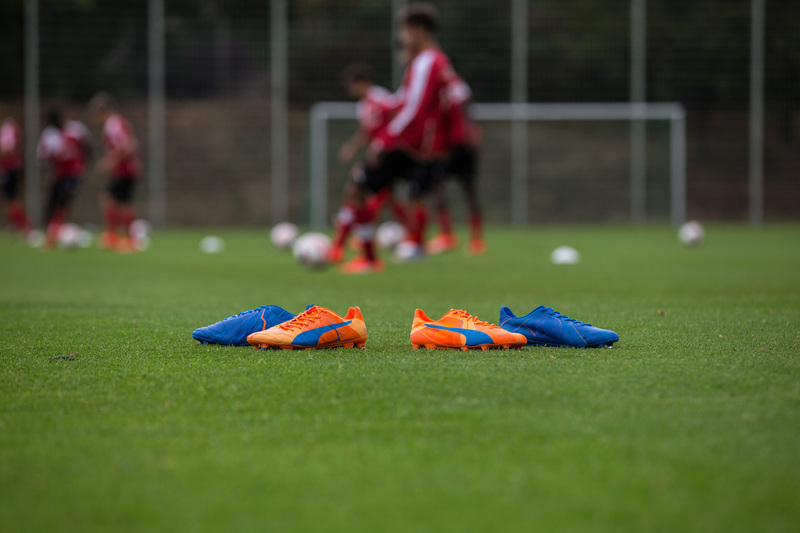 Selected retailers have the Head To Head Duality colourway available from now for both evoSPEED and evoPOWER. For more information on the concept and the social media activations, follow PUMA Football on Twitter, Facebook and Instagram, or visit puma.com/football. 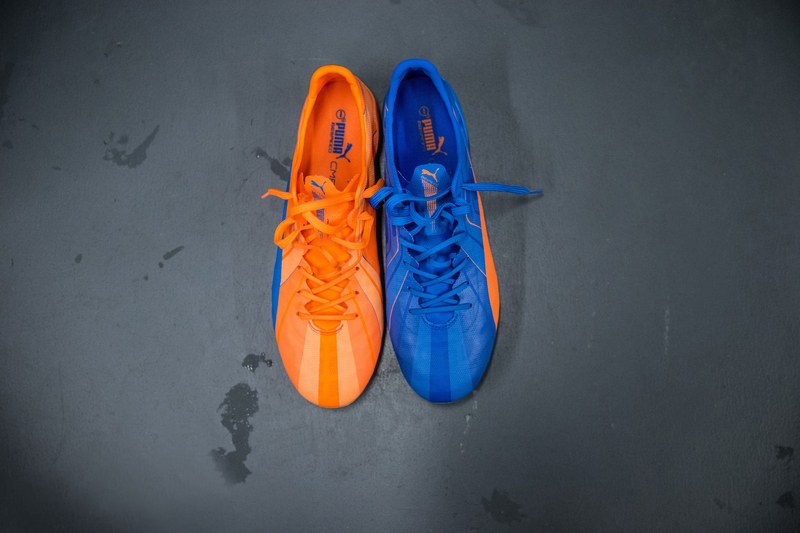 What do you think of the new PUMA Duality football boots? Let us know in the comments section below or on our Twitter and Facebook pages.